Audio logs obtained by Italian news magazine L'Espresso show that authorities ignored repeated pleas from refugees for hours as they drowned less than 100 miles from the Italian coast. 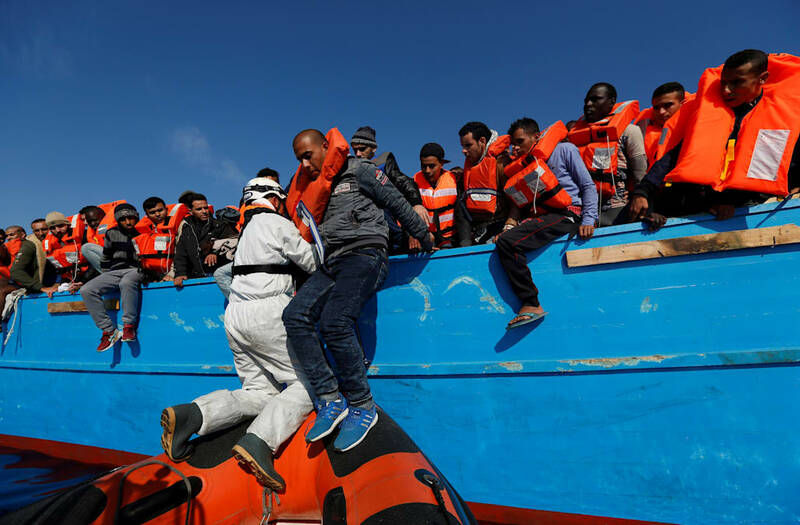 The deadly incident happened in October 2013, when 480 people — most of whom were Syrian refugees — boarded a boat from northwestern Libya to Lampedusa, an Italian island in the Mediterranean Sea. When their vessel began to take on water, they radioed the Italian Coast Guard for help. Tapes of those calls, obtained by L'Espresso and translated into English by theWashington Post, show that the Italians dithered for five hours before sending help. The first call came at 12:39 p.m. local time on Oct. 10. Mohanned Jammo, a doctor, radioed the Italian Coast Guard headquarters in Rome to ask for help. He told them his ship was taking on water and there were injured children aboard. The second call came 1:17 p.m.. Again, Jammo asked for help. This time, the radio operator told him to call Malta, claiming the ship was "near Malta." Under European maritime agreements, the ship was in an area under Malta's responsibility, but it was closer to Italy — 118 nautical miles to Malta versus 61 to Lampedusa. Italy's nearest vessel was 20 nautical miles away, while Malta's was 70. The third call came at 1:48 p.m. Jammo told the Italians that the Maltese had told him, truthfully, that he was closer to Italy. "We are dying, please," he said. Audio of a fourth call shows that the Maltese offered to send their nearby vessel, but asked the Italians to send theirs, as well. The Italians said no. A fifth call between the Italians and the Maltese shows an Italian officer saying he didn't want to be responsible for transferring the refugees to the nearest coast. The Maltese then sent a surveillance plane to the refugees' location and, discovering their ship had capsized, implored the Italians to send their ship. They agreed. In all, 268 people died. The Syrian Civil War, raging since 2011, has driven millions of Syrians from their homes. More than 5 million Syrian refugees are registered with the United Nations. In 2016 alone, 44,000 refugees arrived in Italy, according to the U.N.